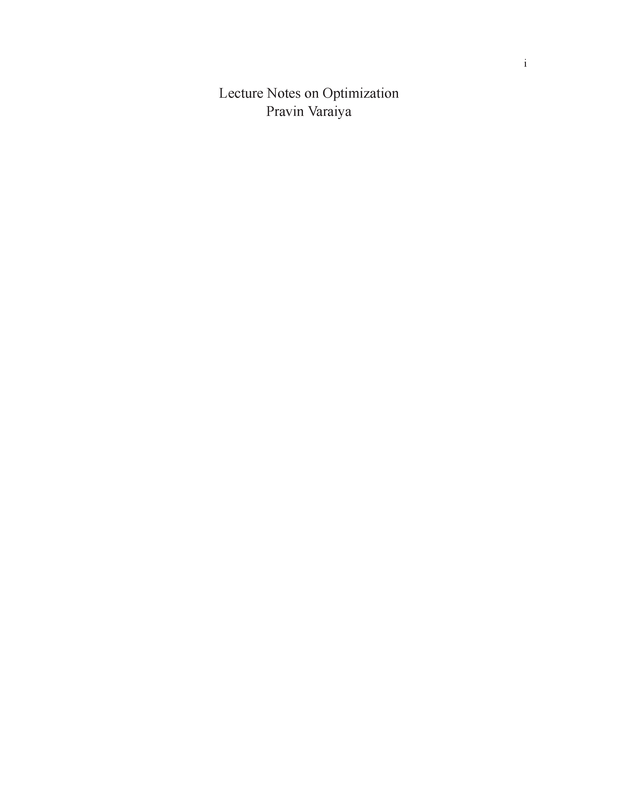 Presents in a compact and unified manner, the main concepts and techniques of mathematical programming and optimal control to students having diverse technical backgrounds. These Notes were developed for a ten-week course for first-year graduate students of the University of California at Berkeley. The objective has been to present, in a compact and unified manner, the main concepts and techniques of mathematical programming and optimal control to students having diverse technical backgrounds. A reasonable knowledge of advanced calculus (up to the Implicit Function Theorem), linear algebra (linear independence, basis, matrix inverse), and linear differential equations (transition matrix, adjoint solution) is sufficient for the reader to follow the Notes. The treatment of the topics presented here is deep. Although the coverage is not encyclopedic, an understanding of this material should enable the reader to follow much of the recent technical literature on nonlinear programming, (deterministic) optimal control, and mathematical economics. The examples and exercises given in the text form an integral part of the Notes and most readers will need to attend to them before continuing further. To facilitate the use of these Notes as a textbook, the author has incurred the cost of some repetition in order to make almost all chapters self-contained. However, Chapter V must be read before Chapter VI, and Chapter VII before Chapter VIII. 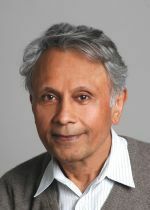 Pravin Varaiya is a Nortel Networks Distinguished Professor Emeritus of the Graduate School Department of Electrical Engineering and Computer Science at the UC Berkeley. From 1975 to 1992 he was also Professor of Economics at Berkeley. From 1994 to 1997 he was Director of the California PATH program, a multi-university research program dedicated to the solution of California's transportation problems.